You don’t need to be completely vegan or vegetarian to reap the benefits of incorporating more plant-based foods into your diet. 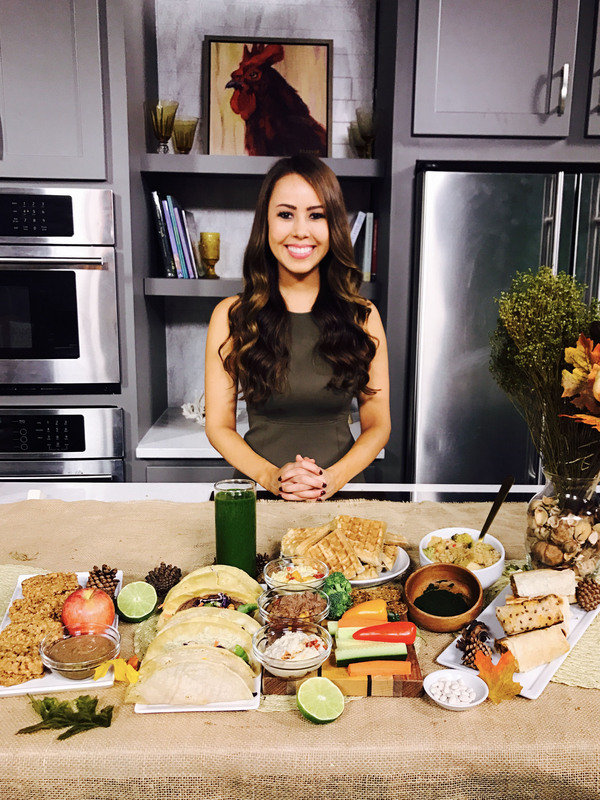 Today on ABC WCIV, Lowcountry Live, I shared meatless meal and snack ideas that everyone can enjoy. Nut butter is a good source of plant-based protein. Naturally More’s Roasted Almond Butter has flaxseeds and probiotics added. Flaxseeds have those good omega-3 fats (for the brain and heart) and probiotics are beneficial bacteria that support our digestion and immune system. Besides pairing it with sliced apples or carrots – why not get creative with it? I like to add mine to waffle batter or granola bars for ultimate staying power. Hummus is one of my favorite foods! Traditional hummus is made with beans, which are a good source of fiber and plant protein. I shared some FUN flavors including Sriracha Carrot, Edamame, Cucumber from Lantana. Lantana is a hummus brand well known for incorporating unique ingredients and developing bold, colorful flavors. Hummus goes great with crackers and veggies, but I like to use it as a sandwich spread and salad dressing, as well! If you want to incorporate more plant-based meals into your diet and you don’t know where to start, I’ve got you. I shared Sweet Earth’s functional burritos and entrée bowls. They are made with delicious ingredients like seasoned tofu, quinoa, veggies. Even though they are meatless, they are loaded protein and a great source of fiber. You can find them in the freezer section of the grocery store. Simply pop them in the microwave and they’re ready to eat. WHEATGRASS is a concentrated source of vitamins, minerals and antioxidants. I shared a dried wheatgrass juice powder from Maju Superfoods. You can add it to your smoothies or yogurt for a boost of nutrition. All their products are 100% organic and free of additive or contaminants. They pride themselves in providing food that is free of excess heavy metals or contaminants. They do this by focusing on its source.